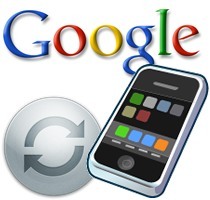 Google has confirmed three new updates to Google Sync for iOS that improves Google’s Gmail service and Google Calendar support on Apple’s mobile operating system. Two of the updates are related to Gmail. The new sync service will allow users to search all of the messages in their Gmail account, not just the ones stored locally on the iOS device. Second, Google Sync for iOS now supports the ability to choose a different address to send emails from using Google’s “Send Mail As” feature. This is an important feature for those who use Gmail to manage multiple email accounts and addresses. Google’s Gmail client on Android received this capability last year. The update to the Calendar sync will now allow users to accept, decline, or edit events right from the iOS calendar app, making it much easier when you are on the go. Search all your emails in Gmail, not just the emails stored locally by the iOS mail app. Accept, decline or edit calendar events from the iOS calendar app. Send email from the address you want. We recognize that some of you manage multiple email addresses from a single Gmail account.Gmail’s “Send Mail as” feature lets you send messages with another email address listed as the sender instead of your Gmail address, e.g. joe@altostrat.com instead of joe@gmail.com. Now the iOS mail app will respect these settings. The new Google Sync features are available to both Gmail and Google Apps accounts. Users must set up their account as an Exchange account in iOS in order to take advantage of all of the new features.